Parties for new releases from two Seattle bands, the Royal Bear and Blood Red Dancers happen this weekend. The first is the CD release for the Royal Bear‘s Attack this Friday, December 17th. 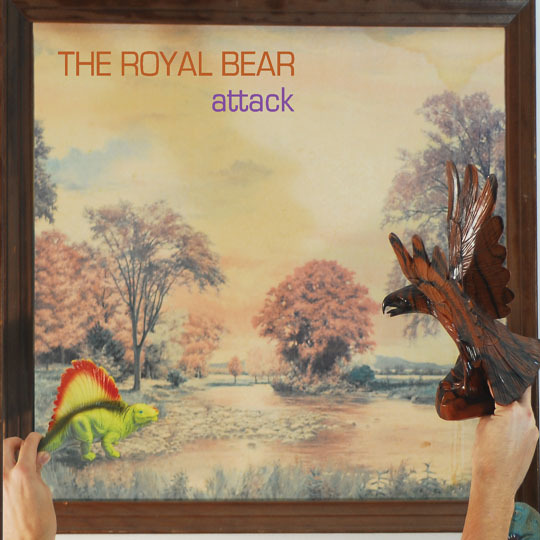 Attack, produced by Ryan Hadlock, is the Royal Bear’s first full length CD, and what I’m hearing is absolutely fantastic. I am particularly glad that “I Saw You” is on the album. Get to the Crocodile early as they are on first, with another great local band, Romance headlining. $8, 8 pm. On Sunday night, after you rest on Saturday, you can head to the Cha Cha (right below Bimbo’s on Capitol Hill) and see another of my favorites, Blood Red Dancers‘ 10″ release show. 9 pm. Also cool – this show is a benefit for Justice Works. Written by: Dagmar on 12/16/2010. This entry was tagged blood red dancers, posted by dagmar, romance, The Royal Bear. Bookmark the permalink.